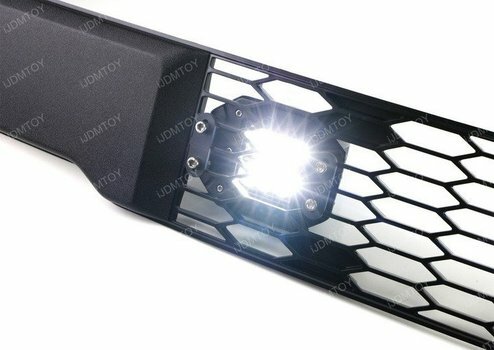 Let's learn how to install the behind-the-grille 48W flush mount LED pod lights. 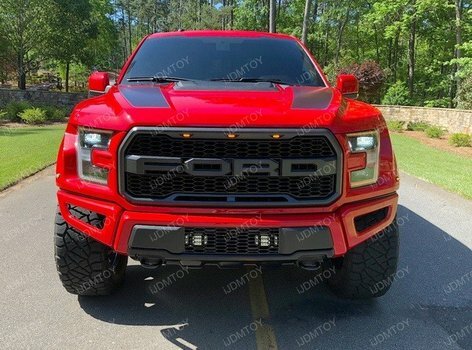 While this installation is based on the 2017 Ford F-250 Raptor, this set of 6-LED flush mount pod lights are able to be fitted behind many lower bumper grille inserts and upper front grilles such as the Toyota 4Runner, FJ Cruiser, Ford Raptor, and the 2018-up F-150. 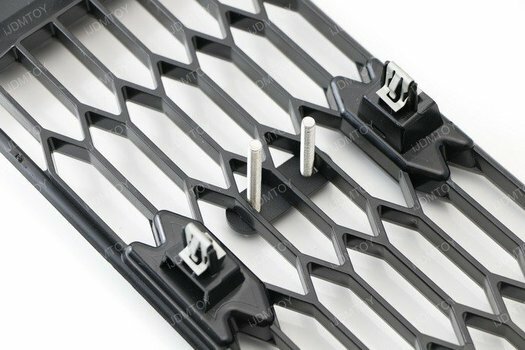 The flush mount LED pod lights (also available in amber LED) are fairly lightweight, they will ideally secure themselves tightly if your grille mesh is strong enough. 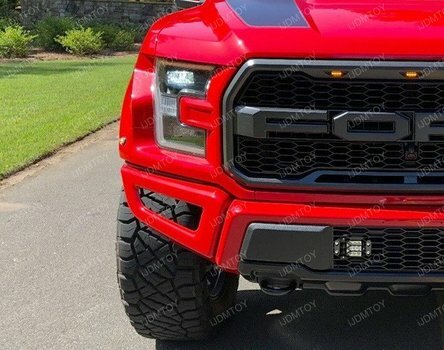 This installation guide will demonstrate the mounting on the Ford Raptor lower bumper grille insert. 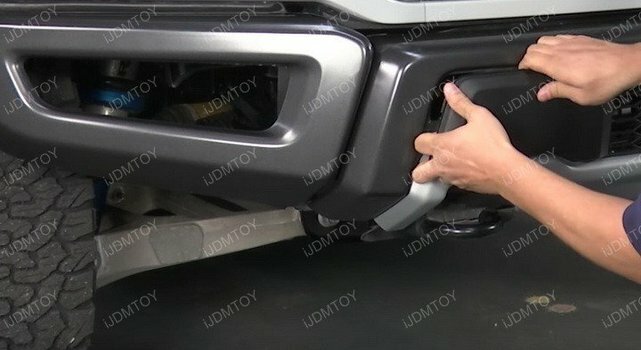 Remove your lower bumper grille mesh. 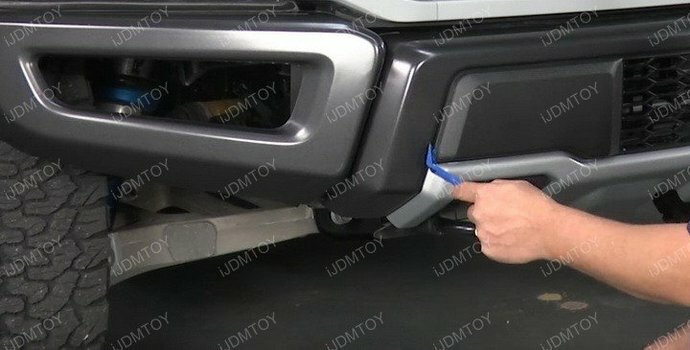 Set one metal mounting plate on the front side of your grille. Thread 2 hex bolts through. 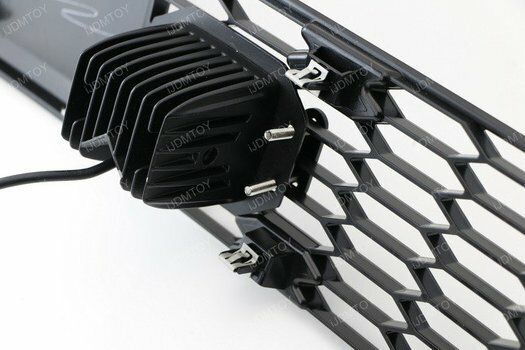 Place the flush mount LED pod light through the screws. Secure the LED pod light with a set of nuts. 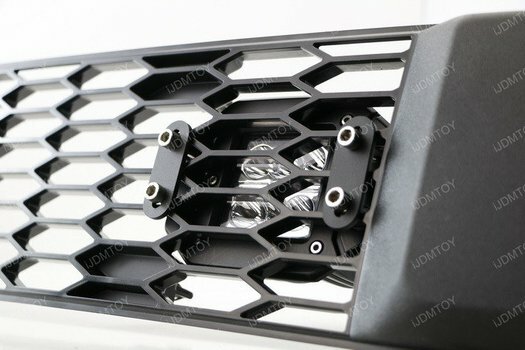 Repeat steps 2-3 for the other LED pod light. 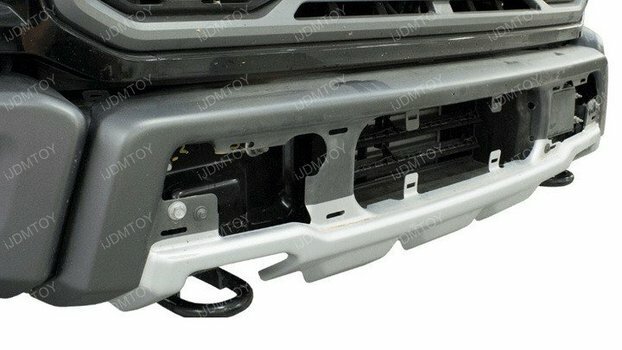 Put your lower bumper grille back on. 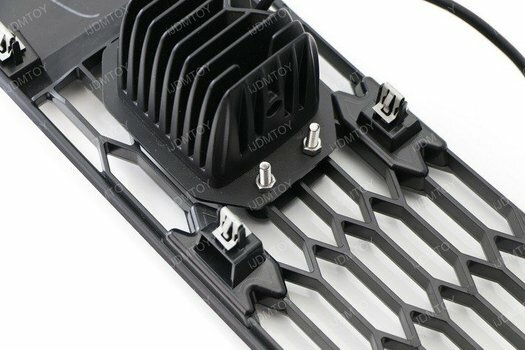 Wire the two flush mount LED pod lights using the included relay wiring harness. Test the two LED pod lights to make sure each of them fully light up. 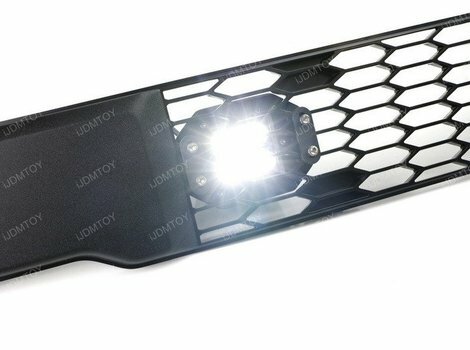 Once you have, you may now enjoy the powerful white lighting output of the dual flush mount grille LED pod lights!